One of my plans for September as mentioned in my August 2017 was to write more bookish blogs. So, why not start off September with a bang and talk about my current TBR list? My plan is try to read more, and hopefully this list will help! This list may change during the month depending on the type of mood I am feeling. However, most of these books have been on my TBR list for a while! Of course if I change books or complete this list and need more, I shall let you know! This list is in no particular order either. This book is the newest in my TBR. I decided to treat myself to this book because it really interested me, plus I would lie if I said the pre-order bonus did not sway my choice. The book is about a girl named Audrey who lives with her adoptive mum. But one day, she receives a letter from her birth-mum and keeps it locked away at the bottom of her closest. However, being adopted is only one piece of Audrey’s puzzle. She soon finds out she is pregnant which brings about all sorts of questions about her life and the things she loves. Is she going to face the same problems that a woman 2 decades ago faced? The book just sounds absolutely thrilling and heart-jerking and I really cannot wait to read it! 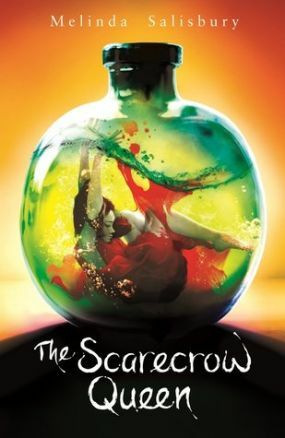 If you know me but at all, you will KNOW how much I love Victoria Schwab and her books. I am still not over the Shades of Magic trilogy if I’m completely honest with you! 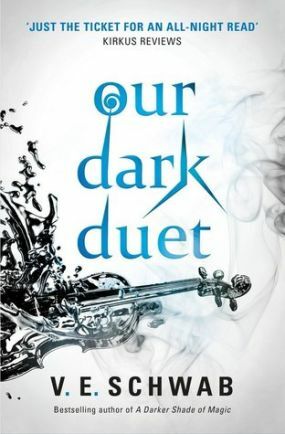 Our Dark Duet is the 2nd and final part of the Monsters of Verity duology and I really cannot wait to read it. It follows the story of Kate Harker and August Flynn once again. Kate, a girl who is not afraid of the monsters and hunts them and August who is a monster but longs to be a human. But he knows he must play his part. Kate must return to Verity even though a new monster waits there – One that eats chaos and brings the victims inner demons out. The final part of The Sin Eater’s Daughter trilogy. I have loved reading the first and second book so much that I am sure my heart will be turn with the finale. The final battle is very real. Bands of rebels try desperately to defeat a man who was once thought a fairy tale – The Sleeping Prince. He is alive and now holds Lormere and Tregellan. Their time however is running out. Twylla, once the Sin Eater’s Daughter and Daunen Embodied is separated from Errin, the sister to her old guard Lief. The Sleeping Prince will stop at nothing until his rule is complete. Time is running out… Will he be stopped? Seriously, I am SO excited to read this finale to this awesome trilogy! Ever since I heard about this book, I wanted it. It sounds completely up my alley and it will probably make me cry. The story follows Fliss who is going to visit her grandmother in Wales. With her mum recovering from chemotherapy, she can focus on not looking forward to it. Her grandmother, Margot, does not forgive mistakes that Fliss does and seems awfully cold all the time. Fliss knows she just needs to keep her head down and focus on school and get on with things. 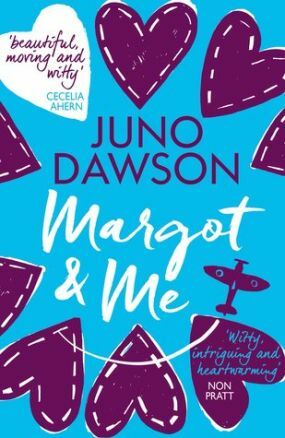 One day she finds a diary that once belonged to Margot. It dates from the 1940’s, from World War II. 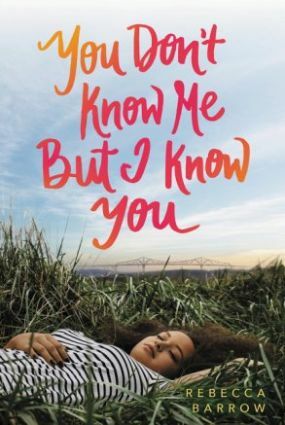 Being the curious type, Fliss begins to read and finds out there is a whole other side to her grandmother. Romance and deep secrets lay within the diary and soon Fliss must come to terms with something terrible in her own life. Like I said, this book will possibly make me cry. The final book of my TBR list was recommended during the BookTube-A-Thon which I participated in! Just like Margot & Me, I’m sure I will cry reading this. Sixty-five days after Juniper’s sister’s death, she discovers a love letter. It is written by Camilla on the day of the accident. But it is addressed to “You,” but was never sent out. Juniper takes it upon herself to investigate and find out who You’s identity is. 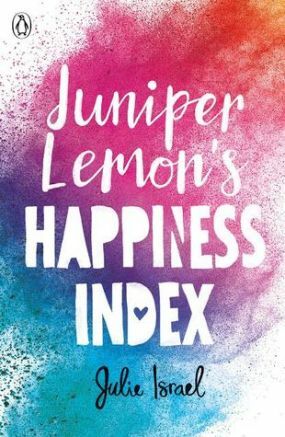 But she loses a card from her Happiness Index: Started by Camie to log positive days. This has been the thing that has been keeping Juniper steady since her sister’s death. This card that she has lost holds a deep secret that Juniper can’t let anyone else find out about. The search is on for her card and You, but will this journey help her find peace with her secret? I have talked about it in a blog before, but a death of a sister is going to hit incredibly close to home. So only time will tell if this book will break me. And that’s it! 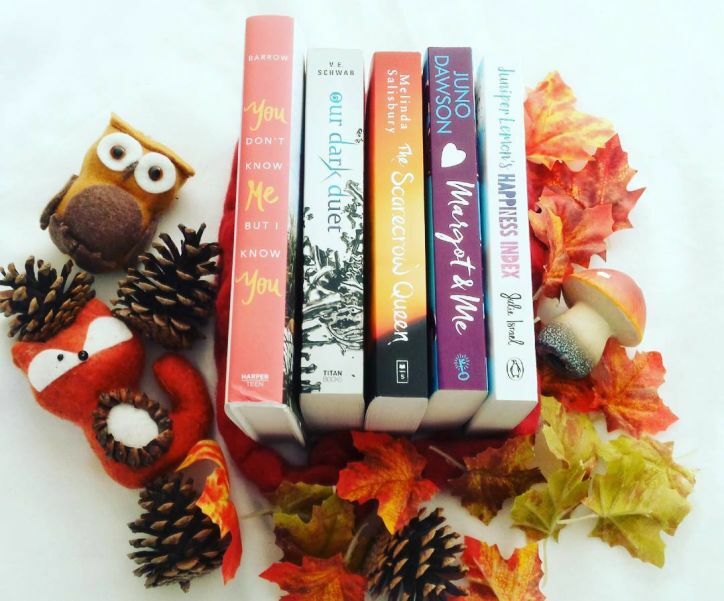 My September TBR list! It may change depending on my mood, but I am pretty confident it will stick.. for now. There are some other books that may be added to the list at some point, however this list for now is good. What is your current TBR list? Let me know in the comments below! Next Next post: Bookish “This or That” Tag!